"Stepping forward with customers together". the technologies needed to build the future. Headline : NEW SLIDING MATERIAL standard components catalog is ready. You can search for products. CAD data downloading is also available for registered members. Beware of counterfeit manufacturers of Sankyo Oilless cam units. Sankyo Oilless Ind (USA) does not license or approve any other company to manufacture our cam units in the United States. 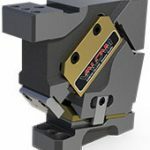 In the past year we have seen many "knock-off" versions of our cam units appear in the United States. At any time if you have any questions please contact us immediately. Copyright © 2017 Sankyo Oilless Industry, Inc. All Rights Reserved.